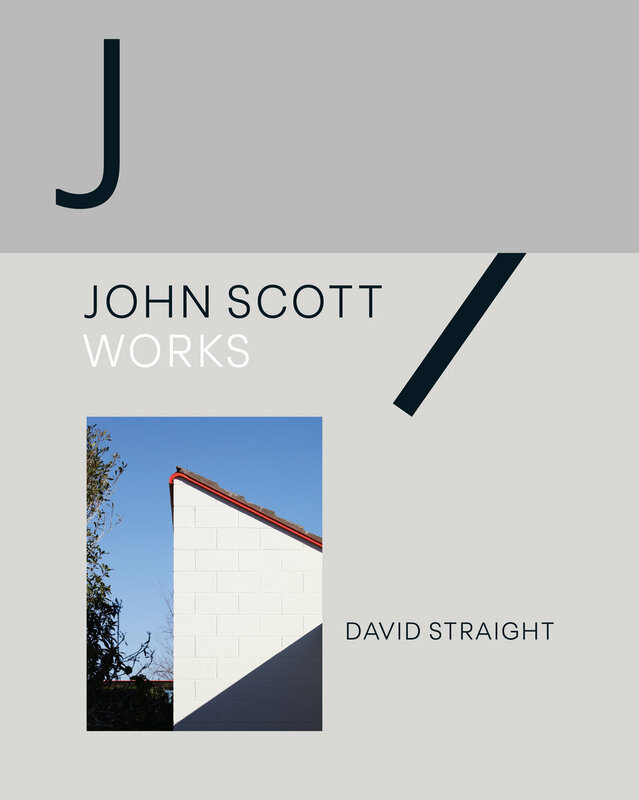 In his introduction to this handsome and substantial photographic study of the buildings of architect John Scott, David Straight recalls the genesis of the book in a visit to Scott’s doomed Aniwaniwa Visitor Centre in Te Urewera on the day before its regrettable demolition in September 2016. Fourteen photographs taken on that occasion constitute his photographic essay on the building. It is one of twenty-four such visual essays which make up the book and document Scott’s rich career from Falls House, Havelock North, in 1953 to the Scott/Wheeler House, Haumoana, 1987-90. The sensitivity to the ethos of the building manifested here translates to the photographs themselves – a judicious mix of close-ups of details to wide shots both interior and exterior, all subservient to the building they are documenting. Within a day or two this subtle and profound edifice was reduced to a pile of stony rubble, as shown spread bleakly across two pages (pp. 230-31) at the end of Straight’s visual essay. Every image of the derelict but noble building – the pale exterior nestled into the roadside bush, the bold circular window (Scott’s ‘eye of Rua’) opening onto a wall of trees, the interior wall stripped of its covering that once supported Colin McCahon’s great Urewera mural, the walkways and terraces strewn with leafy detritus – is imbued with the melancholy of this tragic outcome. The plangent mood of the photographs is underlined and reinforced by Greg O’Brien’s eloquent essay Words to Inscribe on a Condemned Building, the occasion of which is the same pre-demolition visit to Aniwaniwa on which Straight took his photos. Of the many elements in O’Brien’s essay one of the strongest is that he sees the building as ‘a heartfelt conversation with McCahon’s art’ (p.210). For example he sees the elevated walkway in these terms: ‘The pillars that hold up the adjacent walkway are extended tau crosses – vertical shafts with a crossbar on the top. These are the same “load bearing structures” that Colin McCahon went on to paint in his Truth from the King Country series, three years after completion of the Urewera Mural’ (p. 210). O’Brien’s essay is placed next to the photographs of Aniwaniwa within the book, but the other three contributed essays, by Bill McKay and Julia Gately, Hana Scott and Douglas Lloyd Jenkins – shorter and more general in scope – appear together at the front of the book before the visual essays begin. McKay and Gatley in The Regional Modernist locate Scott historically and within the context of his time. 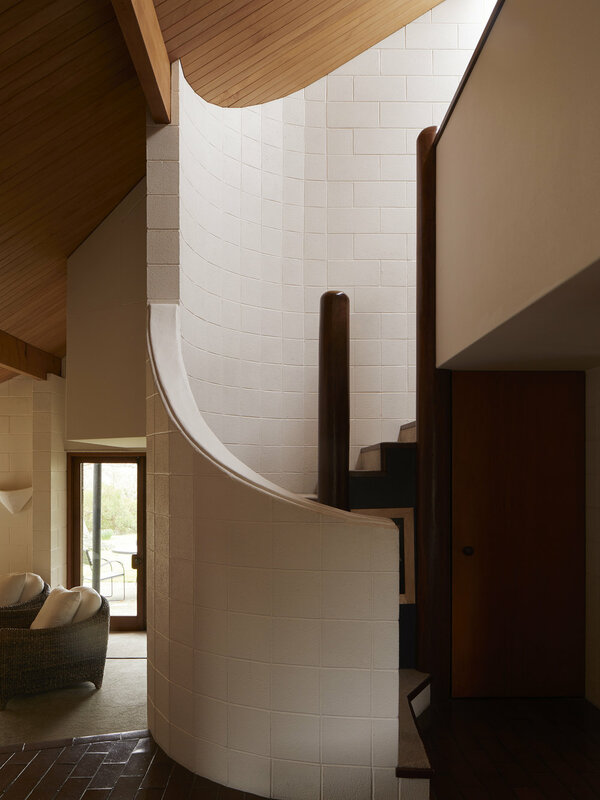 While aptly describing him as a ‘regional modernist’ – part of a world-wide movement in which architects ‘often latched onto indigenous or vernacular precedents’ (p. 15) – they also emphasise his unwillingness to be stereotyped as a ‘Māori architect’; Scott valued both sides of his heritage and described himself in 1973 as ‘just an architect sorting out problems and trying to say what seems to be relevant to our time’ (p. 15). In this respect he occupies a position within architecture very similar to that of Ralph Hotere within the visual arts: artists who were Māori, not ‘Māori artists’. Significantly, Scott chose Hotere as the winner of a competition for a mural in the Founders Theatre in Hamilton. An especially interesting comparison is made by McKay and Gatley between Futuna Chapel, Scott’s most famous building, and his Māori Batallion Memorial Hall (1963-64) in Palmerston North. They find Futuna’s ‘digestible melding of cultures, representative of integration’, less interesting culturally than the Memorial Hall as an ‘architectural harbinger of the more complicated phase in our cultural relationship that we now call biculturalism’ (p. 18). The latter building, incidentally, is not one of those chosen by Straight for a photographic essay. Hana Scott in A Layering of Influences writes from the doubly privileged position of being both an architect herself and John Scott’s granddaughter. She argues that his success ‘was in large part due to his whakapapa’ (p. 21), which included English, Irish and Māori on his mother’s side and Scottish and Māori on his father’s: ‘He developed a set of design protocols or tikanga derived from a matrix of beliefs of both Māori and European concepts, tangible and intangible, and confidently bound them together’ (p. 23). Douglas Lloyd Jenkins’ essay The Plausible Rogue explores Scott’s quirky relationships with three of the clients who commissioned houses from him: the Martin House (1969-70), the Rogers House (1975), and the Arrowsmith House (1978-80), each of which is the subject of one of Straight’s photographic essays. Lloyd Jenkins concludes on the basis of these examples that Scott preferred clients who were like-minded and ‘had the potential to grow’: ‘Scott took his clients on a journey towards a greater complexity in architectural thinking while at the same time achieving a greater simplicity in their domestic arrangements’ (p. 31). Of the twenty-four buildings chosen by Straight for his visual essays, seventeen are houses or baches, five are churches or chapels, one is (or was) a visitor centre and one a pottery. Only four of the buildings (Futuna Chapel in Wellington, a couple on the West Coast of the South Island and Aniwaniwa in Te Urewera) are located outside of Hawkes Bay. There is a remarkable concentration of Scott’s buildings in the region in which he spent most of his life. He is a ‘regional modernist’ in the narrower as well as the wider sense of that term. Each building is given a generous ten or twelve page spread (except that the spectacular hill-top Ngamatea Homestead gets fourteen pages). Within each essay the number of images ranges between eight and fourteen, with a judicious mix of smaller and larger images, never more than two to a page and often spread across two pages. The design and layout of the book (by Catherine Griffiths – she was also largely responsible for the layout of the excellent associated exhibition of the photographs at Object Space in Auckland) is immaculate – fresh, clean, carefully considered and bold. Straight’s photographs are frankly wonderful. They are informative, atmospheric and sensitive to the character of each structure. They are also well-mannered, in the sense that they draw attention to the buildings not to themselves. He is especially good at photographs which relate the insides of buildings to the outsides – the buildings as they appear within the landscape, the landscape as it appears through windows – obviously an important and distinctive part of Scott’s remarkable practice. They are also finely composed and subtly attentive to light and shadow. At the back of the book are brief notes by the photographer (three or four sentences) on each of the buildings photographed. There is also a section called Other Works with small photographs with notes of about twenty or so other buildings by Scott (such as the Māori Battalion Hall), and four pages of Ephemera featuring photographs, sketches, magazine lay-outs and architectural plans. The whole package is a superb amalgam of fine photography, beautiful architecture, excellent design and top-rate production by Massey University Press – a masterpiece of collaborative endeavour. Peter Simpson is a writer, editor and occasional curator who lives in Auckland and has published books on Ronald Hugh Morrieson, Allen Curnow, Colin McCahon, Leo Bensemann, Peter Peryer and Charles Brasch. He received the Prime Minister's Award for Literary Achievement in Non Fiction in 2017.